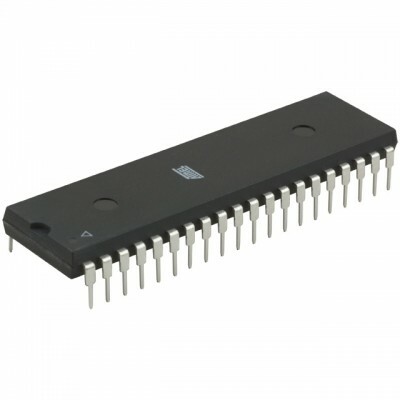 The high-performance Atmel picoPower 8-bit AVR RISC-based microcontroller combines 32KB ISP flash memory with read-while-write capabilities, 1KB EEPROM, 2KB SRAM, 32 general purpose I/O lines, 32 general purpose working registers, a real time counter, three flexible timer/counters with compare modes and PWM, two USARTs, a byte oriented 2-wire serial interface, an 8-channel 10-bit A/D converter with optional differential input stage with programmable gain, programmable watchdog timer with internal oscillator, SPI serial port, a JTAG (IEEE 1149.1 compliant) test interface for on-chip debugging and programming, and six software selectable power saving modes. The device operates between 1.8-5.5 volts. All products sold at rarecomponents.com are 100% Genuine parts made by the original manufacturers as listed on the product page. We do not stock duplicate parts in any case. All goods are checked before sending them out. The user assumes all responsibility and liability for proper and safe handelling of the goods after receiving the shipment. Image shown with the products like Integrated Circuits & Chemicals shows the package of Device and not the actual product in some cases. Please refer to the product description for exact specification about product and its manfacturer. For any further clarification you can contact us by the means provided on the contact us page.